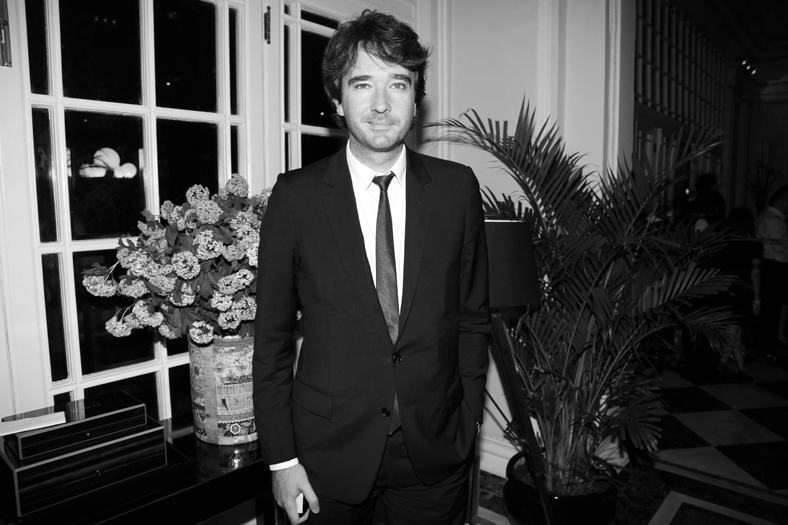 As heir to the £50 billion LVMH empire, Antoine Arnault has a lot to learn about handbags, heels and champagne. Good job his father’s given him a company to practise on. He’s French. He’s young — 40. He’s tall and handsome. His girlfriend is Russian supermodel Natalia Vodianova. His father is Bernard Arnault, the boss of LVMH, the world’s largest and most valuable luxury goods conglomerate with a market capitalisation of some £50 billion. He works for his old man, which makes him pretty much unsackable. And if he plays his cards right, he will inherit not just the snazziest business in the world but also a share of his father’s £25.4 billion fortune. But if he was born with a silver cuillère in his mouth, Antoine is good at hiding it. Take today. On a bright autumn morning he is sitting in his suite at the Bulgari Hotel in Knightsbridge, dressed in a blue jacket with a blue polo shirt, juggling his unfashionable BlackBerry and scoffing biscuits. ‘I want to learn this business from the bottom — from the ground up,’ he says between mouthfuls. ‘I want to start as small as possible.’ Small, perhaps, but perfectly formed. Antoine has just taken the reins at the French brand Berluti, owned by LVMH, and wants to transform it from the world’s most upscale men’s shoemaker into the spiffiest menswear label. ‘I want it to become a 100 per cent masculine brand for men who love great craftsmanship, quality and style.’ Antoine’s desire to expand Berluti could easily be seen as a personal vanity project — because that’s exactly what it is. ‘I didn’t really know where to go to buy stuff for myself. I love beautifully crafted products but I could not find the right style. The clothes were either beautifully crafted but badly cut — boring and old — or they were wellmade but super-edgy with, say, a wild silhouette and, therefore, totally unwearable. I wanted craftsmanship and style.’ In many ways, he is his target customer. The rich ain’t who they used to be. Like policemen, they are getting younger. In India, China, Brazil, Russia and the Middle East, billionaires are no longer all over the age of 50. Many are thirty-and forty-somethings. These young guns don’t want Savile Row. That’s for their fathers’ generation. In fact, they may not even want suits at all. They want something casual but also reassuringly expensive. Something like, Antoine hopes, Berluti, where a cashmere parka with mink lining can be yours for £21,900. Off-therack suits are £2,000 and shoes around £1,000 to £1,500. In the midst of the worst recession in living memory, and at a time when luxury sales are sluggish — LVMH recently reported its slowest quarterly sales growth since the end of 2009 — critics say it is bonkers to expand the brand at a cost of £160 million. Antoine retorts: ‘Luxury is one of the sectors that has held up well and has grown since 2008 and there’s a reason for that. It’s not because people are indecent. It’s because firms like ours have values and we don’t cheat. We make authentic products that are high quality.’ He cites market research figures compiled by consulting firm Bain that show that spending by men on luxury goods, especially clothes and shoes, is rising and now equals that of women — £19 billion apiece. Antoine hopes that men will carry on splurging because, of course, Berluti is much more than a vanity project, it is his big test. From when he was knee-high to a mannequin, growing up in Paris, he has been groomed for success at LVMH. ‘Every weekend our parents would take us to the stores. We would talk to sales assistants. Ask about new products. We loved it.’ The ‘we’ he is referring to is himself and his sister Delphine. His father has been married twice. Antoine and Delphine, who also works for the family firm as a director of LVMH, are the children of his first marriage. They have three teenage half-brothers from his father’s second marriage to Hélène Mercier, a pianist from Quebec. For Antoine, his jeunesse dorée was rather too good to be true and there was the inevitable rebellion. In his twenties he moved to Canada to study and set up an internet domain registration company that specialised in illegal cyber-squatting. ‘We bought names like VoteJacquesChirac.com and ZinedineZidane.com,’ he recalls. But his time as an e-bandit didn’t last long. He returned to France and after studying at INSEAD, the leading French business school, he joined the family firm, which was already the biggest name in luxury. His father had started out in real estate, working in the US before becoming boss of Financière Agache, a French luxury goods company that he set about expanding rapidly by acquisition. He bought Christian Dior and began buying into the nascent LVMH, eventually taking over the firm. Flush with big budgets, he went on the kind of shopping spree that would make an emperor blush. As well as Louis Vuitton, LVMH now controls Bulgari, Dior, Givenchy, Fendi, Marc Jacobs, TAG Heuer, Hublot, De Beers jewellery and Krug and Dom Pérignon champagnes. Bernard Arnault is the richest man in Europe and the fourth richest man in the world, according to US business magazine Forbes. 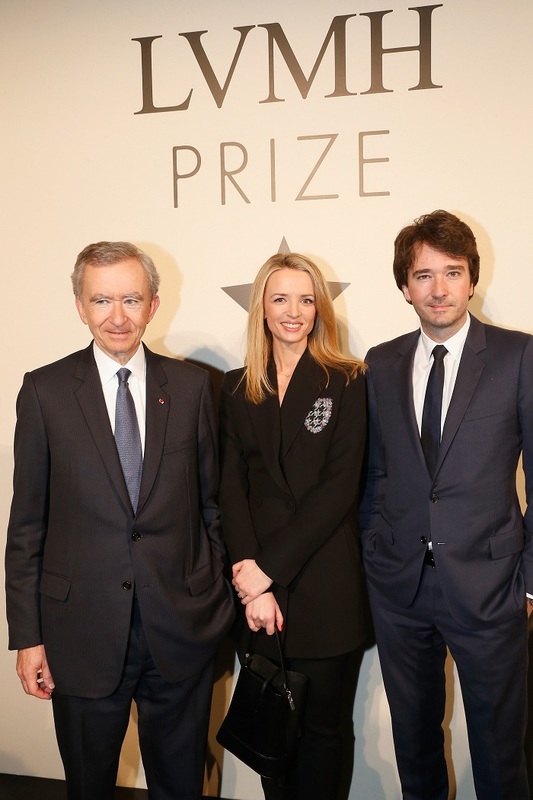 Arnault Sr has risen by ruthlessly exploiting rival firms’ weaknesses, earning him the nickname ‘the wolf in cashmere’,but he has had his fair share of failures, too. He failed to add Gucci to his empire, losing out to his French arch-rival the Pinault family. More recently, he was accused of failing to support John Galliano, chief designer at Dior, who was sacked after a drunken anti- Semitic tirade in a Paris bar. Antoine made it to the position of head of communications at Louis Vuitton. It is he who was behind those ‘we’re not just about bling, we’re really brainy’ adverts, featuring the likes of Bono, Mikhail Gorbachev and Muhammad Ali carrying Louis Vuitton bags. Along the way he has picked up the model girlfriend. He and Natalia Vodianova have been together for two years, sit side by side on the front rows, and friends say they are ‘a serious item’. ‘He’s obsessed with her,’ says one. She has recently moved to Paris with her three children from her marriage to British aristocrat Justin Portman. Berluti may be a small part of the LVMH empire but, for Antoine, it is a big step up. It is the first time he has taken control of an entire label. 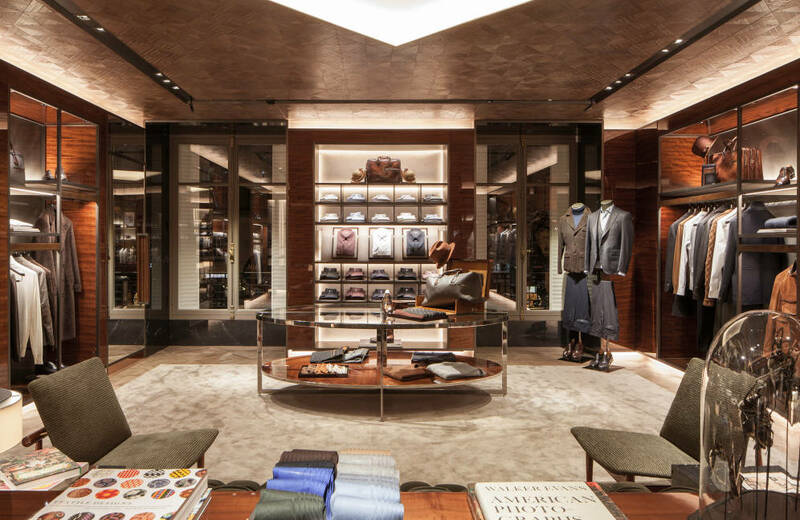 London is the launch pad, with a new store in Harrods and a revamped flagship store in Conduit Street. Thirty more stores are on the way, at a cost of £100 million. Get it right and, well, he will be in pole position to succeed Papa. Get it wrong and, Antoine acknowledges, it will be ‘a screw-up and I will lose Brownie points,’ he laughs. ‘It’s a great opportunity. Making a small brand work makes it easier to understand how the big brands and the company as a whole work. If one day I have the chance of being in one of the big brands, I think I’ll be able to pick it up.’ Pick it up! Enough of this coyness. He’s an Arnault, goddammit. He has the keys to the golden kingdom. Does he want the top job or doesn’t he? ‘Yes, I do. There aren’t many better jobs in the world. But nothing will happen soon, God willing. My father is 63 and is in the greatest shape of his life and is planning to work until he is 90.’ Can Antoine make Berluti more than just the sole of chic? Will he and the other billionaire boys around town be booted and suited? That’s not just down to him and his father, however deep their pockets. There are plenty of competitors out there, firms that Antoine calls ‘our little friends’. There’s Brioni, Tom Ford, Ralph Lauren Purple Label, Loro Piana, the odd Savile Row tailor and Hermès. Ah, Hermès. LVMH is currently stalking its Parisian neighbour. It now owns 22.6 per cent of the firm, the first salvo in what many analysts believe is a takeover bid. Hermès has reacted with fury. 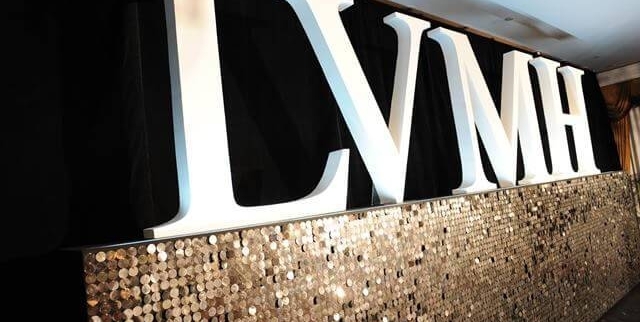 It is suing LVMH over what it says are the unfair tactics LVMH used to buy its stock. LVMH’s reaction? ‘We are disappointed,’ says Antoine. ‘We don’t expect anyone to cry for us but Hermès’ reaction is very unfair.’ He concedes that ‘the smart methods’ LVMH used to buy the shares were ‘creative’. But he points out: ‘Hermès is on the stock market. We didn’t steal anything. If you want to be completely private, don’t go on the stock market.’ He is affronted at the suggestion by many commentators — and sotto voce Hermès’ directors — that LVMH would be bad guardians of Hermès. ‘Look at all the brands in our group. Do you really feel that their heritage has been neglected, or that they have been milked? The opposite. They are protected. They are in the largest French — and notoriously French — conglomerate that has financial solidity. They know we will make these brands eternal.’ He looks around his lavish suite at the Bulgari as if to say: ‘We did all right with this place, didn’t we?’ Will he be able to say the same of Berluti? 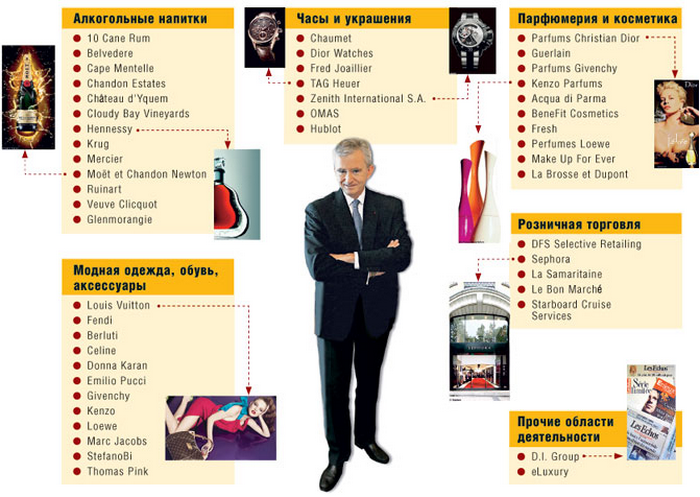 He has got a better chance if Hermès is in the LVMH fold. ‘Hermès is one of the most beautiful brands. We would be very proud to protect it.’ So, watch this space. Watch Antoine, the wolf in Berluti cashmere, who wants to blow over the house of Hermès.